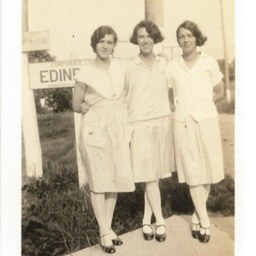 Photograph showing three girls. Josephine Hutchinson is pictured in the middle. The other two are unidentified.